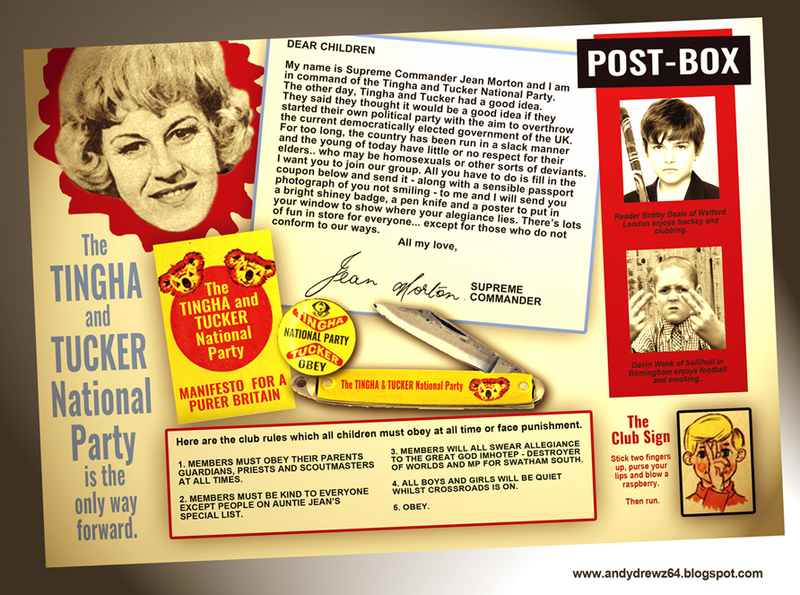 Tingha and Tucker - the fondly remembered ATV kids series from the 60s is shortly to be available on DVD from the lovely folk at Network - even though only one complete episode exists in the archives. 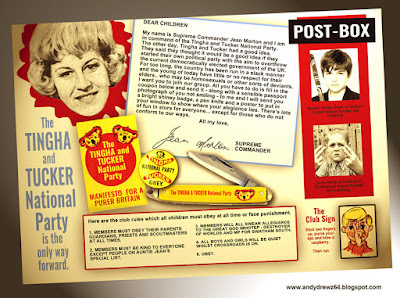 I have to admit that I was a fresh faced young member of the Tingha and Tucker club and Auntie Jean sent me a membership card, a boomarang and a shiny badge after my mum sent her a shilling for stamps. The Tingha & Tucker National Party!! I bet that it was an over the top party. Can you share some photos here so the readers can see how everything went by! I also would be throwing a country theme bash on my parent’s 50th anniversary. Just looking for some affordable deals on event space San Francisco. Can you help regarding it? Oh no, not more Armada Doctor Who book covers...!